Thank you for taking time to visit my Central Virginia real estate website. I know your time is valuable which is why I have worked hard to give you valuable information in a thorough yet condensed manner. When you are buying or selling Richmond Metropolitan area property in today’s real estate market, it’s important to have confidence in your real estate professional. My commitment as your local REALTOR™ is to provide you with the specialized real estate service you deserve. When you are an informed home buyer or seller, you'll make the best decisions for the most important purchase or sale in your lifetime. That’s why my goal is to keep you informed on trends in the marketplace using the latest statistics in your local area. Property values are starting to level off and I foresee a slight to rise heading into next year. This makes real estate is a sound investment for now and for the future. As a local area expert with knowledge of all communities, my objective is to work diligently to assist you in meeting your real estate goals. I work with buyer and seller clients in the following areas: Chesterfield County, Goochland County, Hanover County, Henrico County, Powhatan County and the City of Richmond. If you are interested in buying or selling a home in Central Virginia and are looking for a Top Richmond Real Estate Agent feel free to Call, Text or E-mail me now. I promise that I will respond Immediately!!! 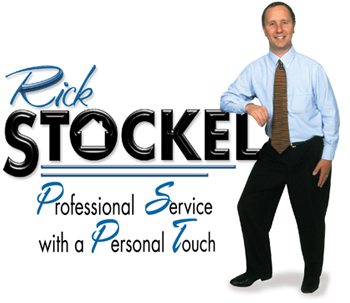 Rick is consistently among the top 75 agents in home sales in the Central Virginia area. The bottom line is that I find the right home for my buyer clients and I sell my listings promptly for my seller clients!! If you are considering buying or selling a home or would just like to have additional information about real estate in your area, please don’t hesitate to call or text me at 804-218-3143 or e-mail me at rstockjr@aol.com. I have bought/sold two houses through Rick. Both experiences were great. No one works harder than this honest realtor. 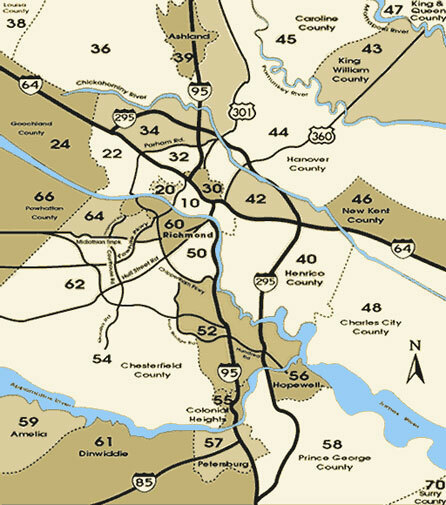 – Dawn H.
Click on the different areas of this map to Find Listings in each Area of Richmond and Central Virginia.